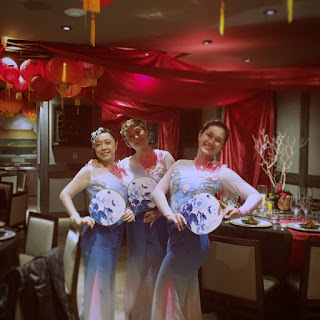 Before Christmas with my dancers performed for a company party at Crystal Jade S.F. We are inviting by Staple Concepts & Events www.stapleconceptsandevents.com Check here's Amelia post some information on Face book. While I did technically wear a dress today for #dressember, my #chinesedance costume from our performance today was just too cute not to share.